Being vegetarian doesn't mean you can't follow a low-carb, high-protein diet such as the Atkins diet. It just means you may have to be a bit more creative to stay within the diet's guidelines. Even vegans can do a version of the Atkins diet called the Eco-Atkins diet, which emphasizes plant-based protein sources to make this diet more heart-healthy. A vegetarian Atkins diet should include about 31 percent of calories from plant-based protein, 26 percent of calories from carbohydrates and 43 percent of calories from plant-based fats. Some people adapt this diet by including eggs and dairy products, which would increase the saturated fat and cholesterol content of the diet but add a bit more variety to the foods you can eat. Plant-based protein sources that aren't too high in carbohydrates include soy products, a meat-replacement product made from wheat gluten called seitan and nuts. You'll also get small amounts of protein from nondairy milks, vegetables and grains. Carbohydrates in this version of the diet come mainly from fiber-rich grains, such as oats and barley, and nonstarchy vegetables, such as okra and eggplant; you can also eat some fruit. 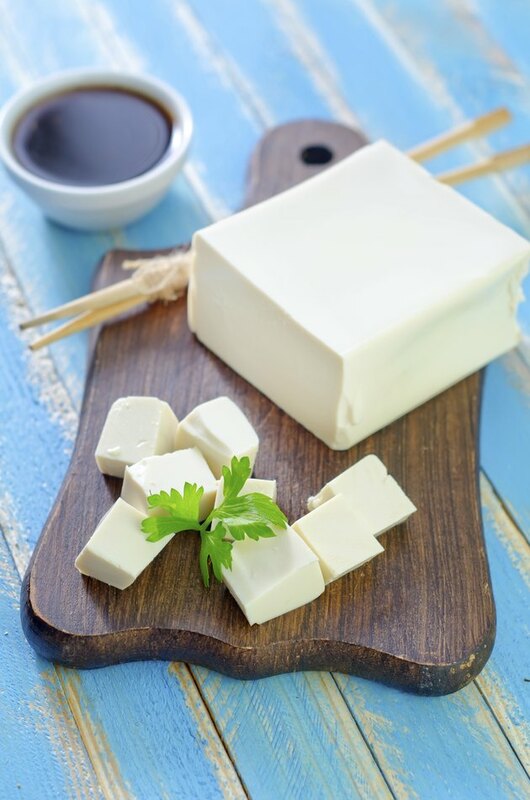 Healthy vegetarian fat sources include avocado, vegetable oils, soy products and nuts. A study published in "Archives of Internal Medicine" in June 2009 found that following the Eco-Atkins diet for four weeks resulted in about the same amount of weight loss as a more traditional high-carb, low-fat diet but caused greater improvements in heart disease risk factors, such as cholesterol and blood pressure. A similar study published in "BMJ Open" in 2014 found that following this diet for six months also resulted in lower cholesterol and triglyceride levels compared to following a traditional low-fat weight-loss diet. You'll most likely have to prepare almost all of your food yourself on this diet since it is restrictive, and it may be a bit expensive to follow because it relies mainly on soy products, vegetables and fruits. Although it shouldn't be too hard to get the recommended amount of fiber, you may want to take supplements of vitamin B-12, vitamin D and calcium since these nutrient requirements are harder to meet on a vegetarian Atkins diet. Always speak to your doctor before taking supplements. Adding exercise to this diet will further increase the heart-health and weight-loss benefits.